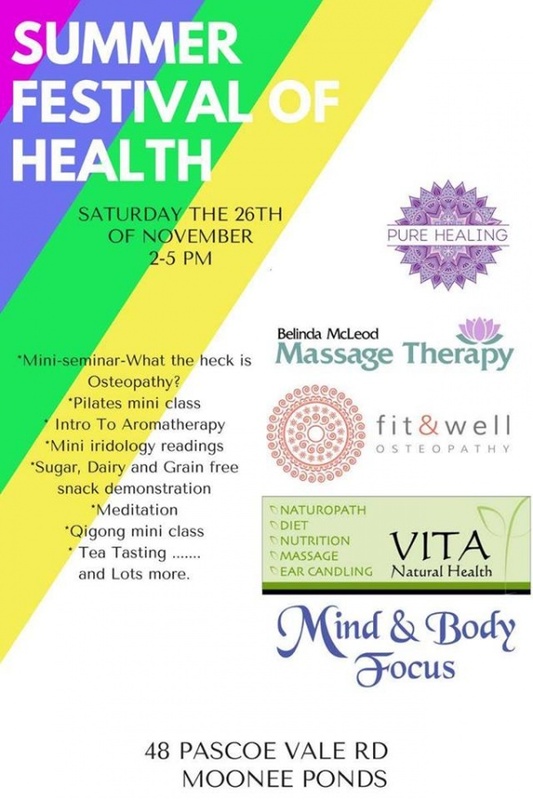 commented on "Come along and celebrate the arrival of Summer and meet all the practitioners at 48 Pascoe Vale Rd, Moonee Ponds ..."
Food and drink tastings, prizes, mini-treatments and information sessions, gifts and products for sale! Learn about health and wellness, healthy food preparation and check out all the services we can offer to assist you and your family. "What's all the fuss about grains?" "What the heck is Osteopathy?? " There will be a range of gifts and products for sale - just in time for Christmas! Entry is FREE! Don't miss out on the Showbags and the Grand Prize Draw worth $500!